Pre-Order will be available today and tomorrow by phone or facebook message. They will be decorated in assorted Halloween theme decorationd like monsters, skulls, spidewebs and what not. Mini cakes are 4″ single layer cakes available in the same flavirs. They serve 1 to 2 people and come in a clear cake dome. 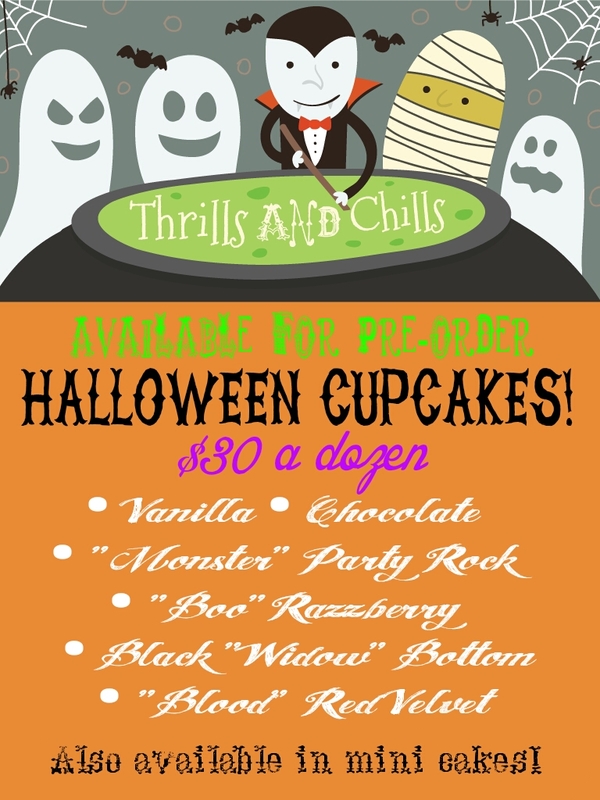 Cupcakes will be available for pickup on Halloween day and Saturday.